Meet Karyn! She’s worked at The Garden Barn since March of 2013. You can find her in various locations around the property depending on the season. She helps assist in the management of our growing facility from early winter through late spring. During our peak season you can find her in our retail greenhouse assisting customers and taking care of our plant material. Recently Karyn and Erica took on organizing the marketing side of the business; together they work on Garden Barn's social media pages, the website, newsletters, email newsletters and much more. In highschool Karyn was part of the Vocational Agriculture program focusing on plant science and natural resources. 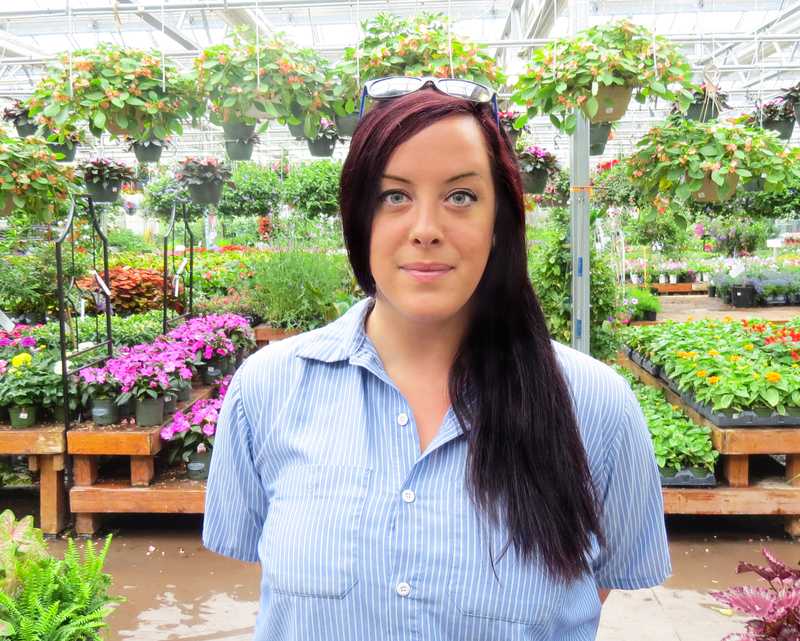 She has a Bachelors degree in Interior Design and is looking to pursue a Masters in landscape design. Currently, her favorite plant at the nursery is the Picea Pungens 'The Blues'. Outside of work she spends majority of her time building different themed gardens around her property and travels all over New England in search of rare and unusual plants. Within a decade she hopes to become a stop on our local garden tour.